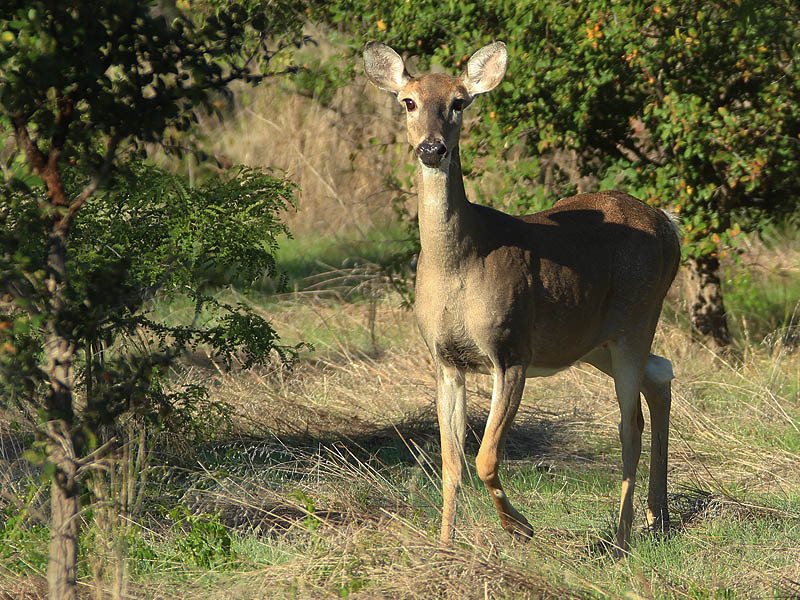 I witnessed this remarkable scene just outside the Dallas Arboretum on Garland Road. 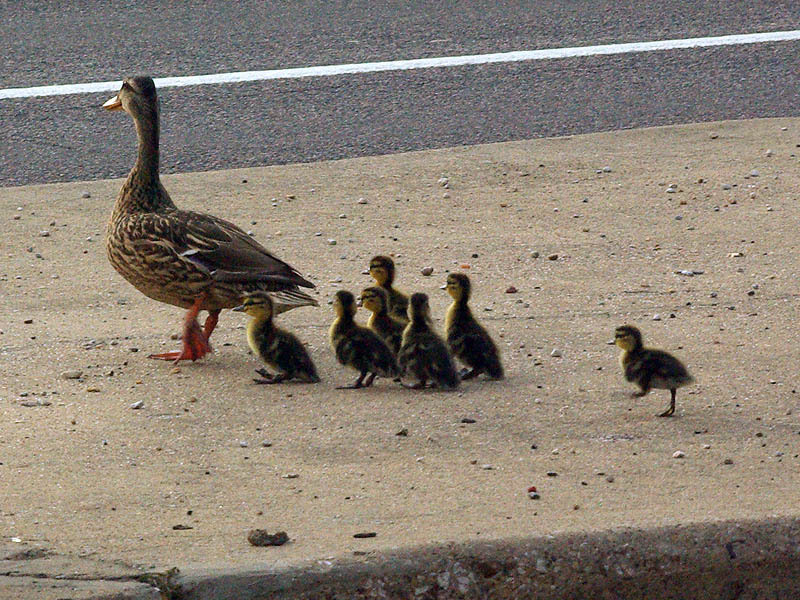 This mother Mallard had led her seven ducklings out into the middle of busy Garland Road where there are six lanes of traffic that the family would have to navigate. The group had already started across when I arrived. 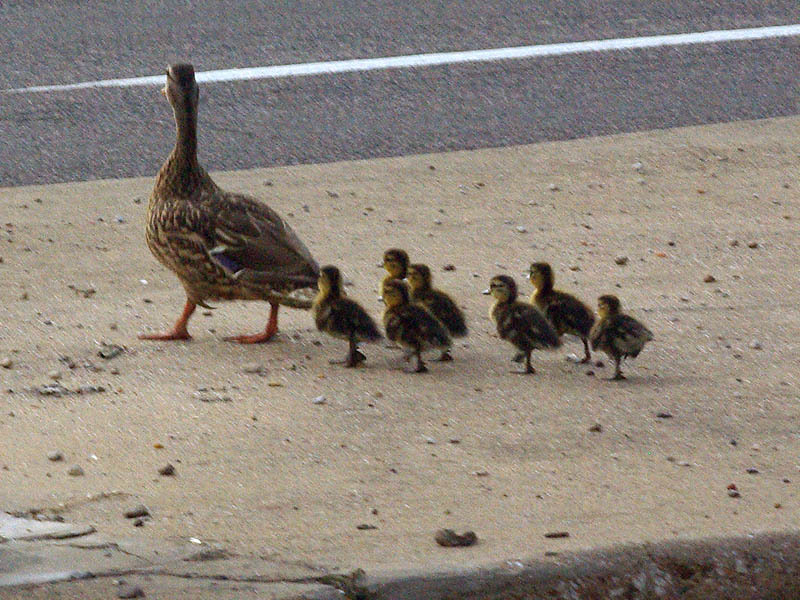 Fortunately, the drivers on my side of the road had stopped to allow the ducks safe passage. 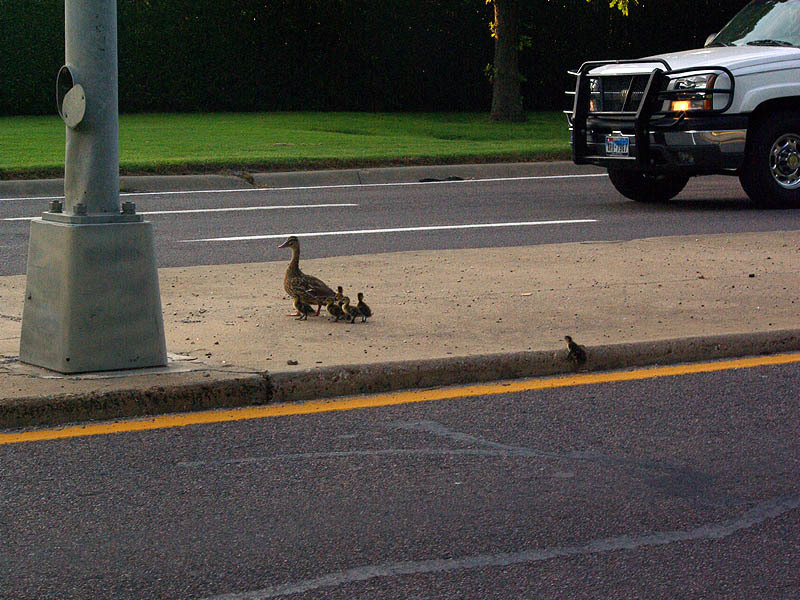 The mother duck and six of her babies scrambled up onto the center median, but the seventh duckling had trouble clearing the curb. After several tries the last duckling finally made it and quickly rejoined the others. Then they all started off again, this time into the south bound lane of traffic. 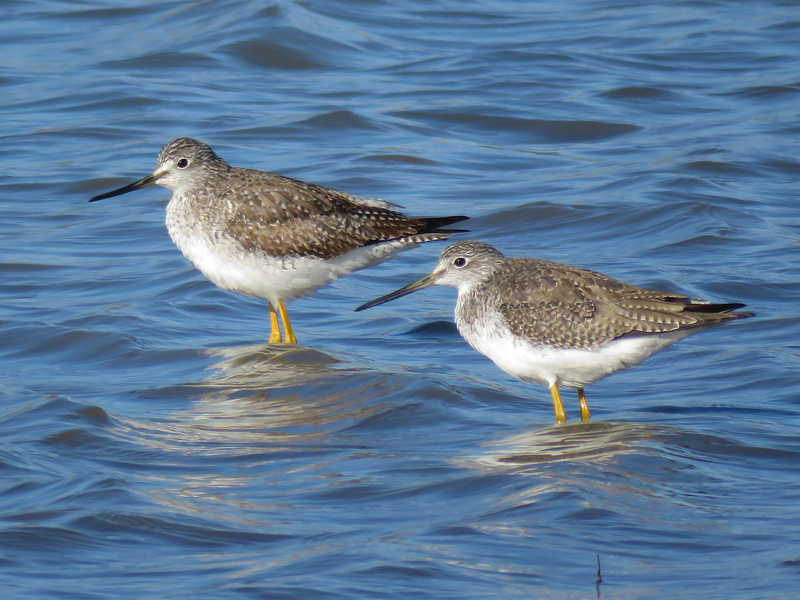 Fortunately, the cars on that side of the road had also stopped for the ducks. I laughed when I noticed that many of the other drivers were snapping pictures of the event as well! Wow! That is a lot of baby ducks! Very nice!